On February 22, 1956, The Louvin Brothers warmed up for Elvis Presley at City Auditorium in Waycross, GA. On hand was a nine year old boy named Gram Parsons. It would leave an indelible mark on the future legend, who went on to popularize several Louvin Brothers songs for the ages. 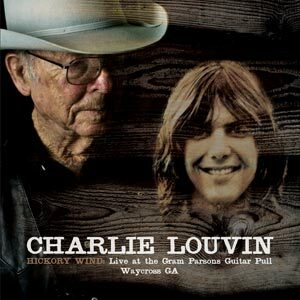 On September 19, 2009, Charlie returned to Waycross to pay tribute to the granddaddy of "Alt Country"/"Americana", singing "Hickory Wind" for the first time ever, as well as Louvin Brothers songs Gram either recorded or must have heard in his early years. If Gram is the granddaddy, Charlie is the great-granddaddy; a Country Music Hall of Famer, and a legend in the truest sense of the word.